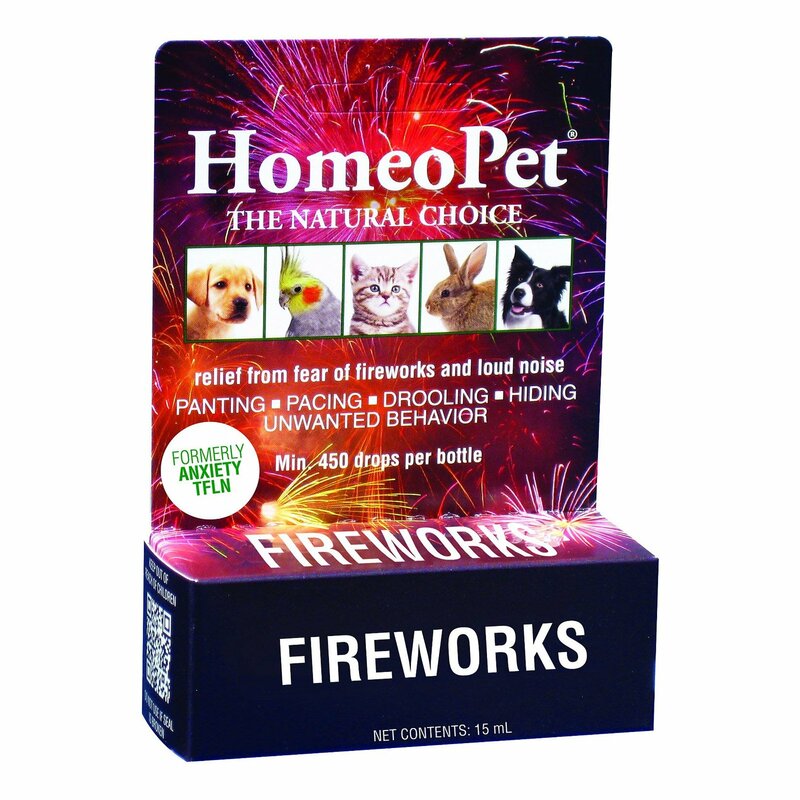 Manufactured by Homeopet, Anxiety TFLN homeopathic remedy is provides quick relief to dogs from fearful situations, phobias and environmental changes. It relaxes the restless, anxious pet and prevents unwelcome behavior. The non-sedating liquid is also used to treat specific phobias including those of fireworks, loud noises, thunderstorms, sudden noises, gunfire, bird scarers and more. Anxiety TFLN is a homeopathic treatment that calms down excited or stressed dogs from any unwelcome situation. The all natural solution is highly effective in treating various types of phobias including stress due to loud noises, fireworks, thunderstorms, gunfire etc. 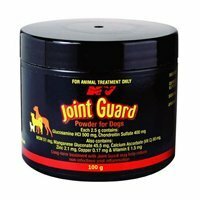 The quick acting, non-sedating solution calms down all these anxieties without causing any side effects to the dog. Remedy to control specific phobias in dogs. 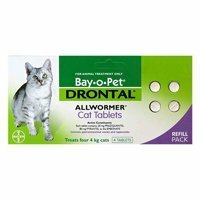 It calms down the pet from severe anxieties like electric shock, sensitivity to drafts. Gives relief from fearful situations like loud noises, lightening, fireworks, backfiring of vehicles and more. Safe for all breeds and ages of dogs including pregnant and lactating female dogs. Easy to administer all natural remedy. Induce drops on the mucous membranes of the pet’s mouth including lips. Administer whenever the pet is anxious or restless. If the animal dislikes the taste then mix with water, milk or food. For pets reactive to the alcoholic odor, allow a 10-20 minute lapse to let the drops get diluted or evaporated from the liquid or food given to the pet. Spray in the air around the pet’s surroundings to calm him down. Do not overdose. Follow the label or the veterinarian’s guidance. Check sensitivity of pet towards the alcoholic preservatives of the remedy by giving single dose at the first place. On observing any signs of hypersensitivity, discontinue the remedy and take veterinarian advice. Although it is highly safe still check with your veterinarian before administering pregnant female dogs. I always give anxiety TFLN to my pet when we party. He is scared of loud noises so I have to calm him down with anxiety TFLN everytime we throw a party to our friends or there is a party going on in the house next to us. I have used it many a time and have never faced any disappointment. 4 of 50 found this review helpful. My dog Oscar had a tough time last new year eve. He was so afraid of the fireworks that he literally hurt himself while sliding under the bed. I felt so bad that I resorted to anxiety TFLN to calm my poor fellow down. And it did work wonderfully. He was relieved and seeing him so calm, I felt I should keep this product always in store. Since then I swear by this treatment. Best ones to control phobia in my pets.. They are really scared of various things I had no idea about. After their unusual urination I got them checked up and then realised it is because they get stressed.. So started putting these drops..! Layla is terrified of loud noises or whenever we have house parties she gets all stressed up and start behaving strangely. One of my friend's dog has the same issue so she recommended me to give these drops to layla and her stress will be reduced… It worked on her very efficiently I must say.. 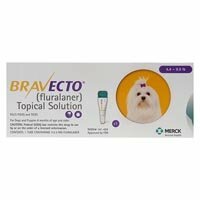 This product has saved my dog! 292 of 362 found this review helpful.